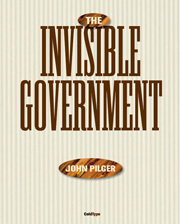 Our 35-page special features collected articles written by top investigative journalist, author and documentary filmmaker John Pilger from Jue to December 2007. 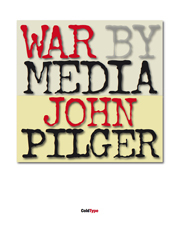 John Pilger writes about journalism, about war by journalism, propaganda, and silence, and how that silence might be broken. The full text of his speech at Chicago's Socialism 2007 Conference on June 16 2007. 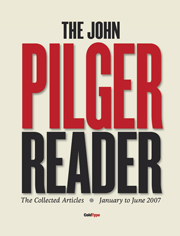 Our 32-page special features collected articles written by top investigative journalist, author and documentary filmmaker John Pilger in the first six months of 2007. The Heyman Center for the Humanities at Columbia University in New York brought together John Pilger, Seymour Hersh, Robert Fisk and Charles Glass for a discussion entitled “Breaking the Silence: War, Lies and Empire” on 14 April 2006. This is a transcript of John Pilger’s address. Thirty years ago, on 30 April, 1975, John Pilger witnessed the last day of the longest war this century, in Vietnam. It was a day of chaos and black farce, of sorrow and liberation. 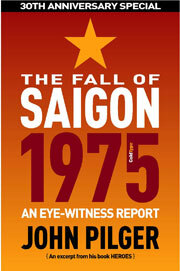 In this 28-page extract from his 1986 book Heroes, Pilger describes the expulsion of an invader as he saw it in Saigon. Top British reporter John Pilger has collected a series of the best pieces of investigative journalism from around the world in the past 60 years in his new 628-page book, TELL ME NO LIES. 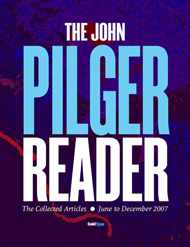 In our excerpt, we reproduce Pilgers introduction and YEAR ZERO, his remarkable expose of the genocide of Pol Pots regime against the people of Cambodia and the complicity of the British and US governments. Other contributors include Martha Gelhorn, Seymour Hersh, Paul Foot, Greg Palast, Robert Fisk, Eric Schlosser and Edward W. Said. 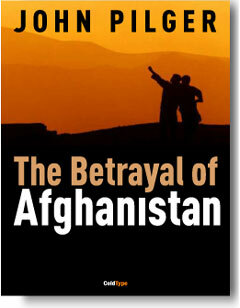 Don't miss this new essay from John Pilger on the Betrayal of Afghanistan, written to accompany his superb new TV documentary, 'Breaking the Silence: Truth and Lies in the war on terror', broadcast in Britain on September 22, 2003. Click here to go to the COLDTYPE home page - read John Pilger, George Monbiot, Norman Solomon, Robert Fisk, Michael I. Niman, Danny Schechter and much much more. Download free books, magazines, newspapers and photo essays . . .